Don’t think beloved Twin Cities indie-rock favorite Har Mar Superstar is selling out by doing a lounge act. First, he instantly sold out two shows at the Dakota Jazz Club when they went on sale. So there is a fan base that believes he can pull this off. Second, his affection for Sam Cooke’s music was obvious on Saturday at the Dakota. Har Mar – the New York Times would call him Mr. Superstar – is a born-again soul man. As he moved through 22 songs, his soulfulness was palpable. So was his sense of phrasing and nuance. And he knows how to project, though his delivery recalled Van Morrison’s (and Eric Burdon’s) moreso than Cooke’s. Har Mar is from the R&B shouter school, not the soft, smoothie approach of Cooke, who had a string of hits between 1957 and '64. Nonethless, he gave faithful readings of Cooke’s tunes. Big hits came early and often. Har Mar may have copped out on “A Change Is Gonna Come” by having guest Sarah White sing it; she brought a depth and insight that he may not have been capable of on this oft-covered anthem. 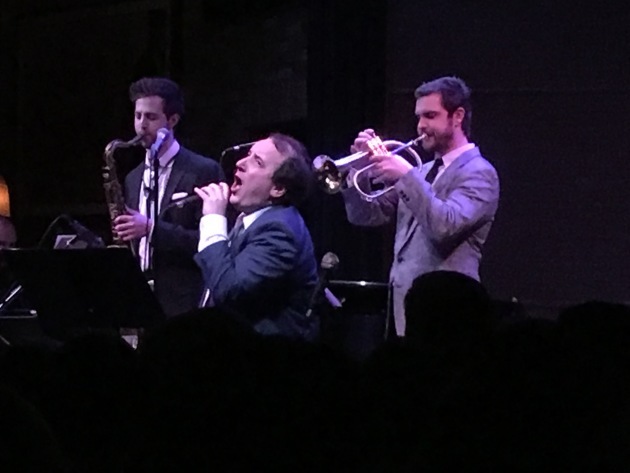 Throughout the two sets in the late show, Har Mar was talkative about “this experiment,” his suit and tie, and his “cheat sheet” of lyrics on a music stand. It was a far cry from the Har Mar Superstar known as the frizzy haired entertainer romping onstage in his underwear. Saturday's second set was devoted to Har Mar originals inspired by Cooke. Highlights included the power ballad “How Did I Get Through the Day,” the R&B shout “Lady, You Shot Me” and “Late Night Morning Light,” which sounds like it could be a country hit. Har Mar Superstar and his top-notch band will salute Sam Cooke again on Wednesday for Valentine’s Day at the Dakota.